I am a little behind on post processing of photos so I have retrieved these photos from the archives. 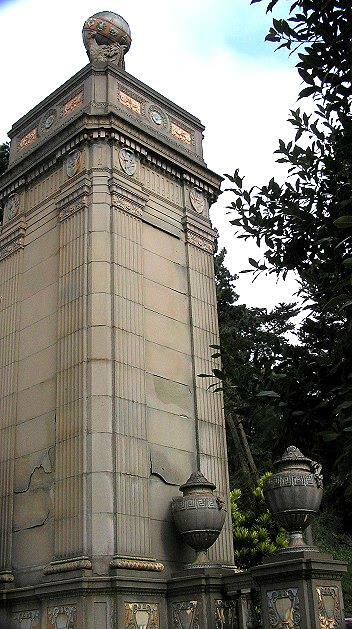 The arrangements that frame the Arguello Avenue entrance to Golden Gate Park have long been favorites of mine. It is only recently that I became aware that they were created by Bliss & Faville. 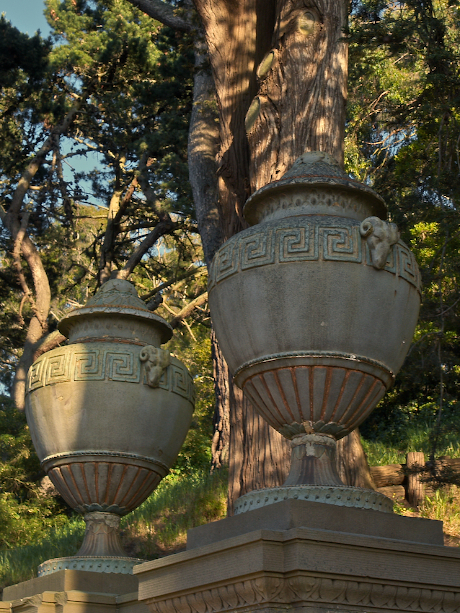 They were created for the 1915 Golden Gate Exposition in part because Arguello was a primary route from the Fair venue in what is now the Marina District to the Park. There has been some damage to the sandstone and the terra cotta is murky with auto exhaust. It would be wonderful if they could be restored for their centennial. Perhaps I should write the mayor.